Instagram should be seen as a serious employer branding platform for your 2018 graduate recruitment campaign. As it’s a visual platform comprising only of photos and video, it’s the ultimate storytelling medium that allows you to showcase your organisation; who you are, how you operate, who you hire, what you do in the day-to-day. It’s also the second most favoured platform for millennial grads. Done well, you can build a solid employer brand that lures in top graduate talent and makes them want to be part of your brand. Here are a few tips to help you make Instagram work for you. Will you create a focused careers profile, or will you incorporate your employer branding initiatives into your broader company profile? Clearly identify who is your audience and what they care about and craft a catchy tagline that lets followers know who your profile is for and what they can expect to see. This is your opportunity to profile your employees, workplace, team culture, and company events. Give prospective graduates an insight into the everyday goings on so they develop an understanding of what your employees do to help you achieve organisation goals. Check out PWC and Australian Border Force (below) who do this well. Instagram is a social network – don’t forget to be social! Encourage your followers to engage with your posts, to like or comment on them by asking them questions or to share their thoughts and experiences on the topic. And always respond to questions and comments – it will help your credibility if grads can see there is a human on the other end interacting and contributing to the conversation. More than just #yourcompanyname, can you incorporate your catch cry, tag line, or campaign slogans as hashtags that will become synonymous with your brand. Before you commit to a hashtag – first run a search for it in Instagram to make sure it’s not already in use! Check out these examples; #deloittegradsnz, #consultinglife In recent news for Instagram - you can now include hashtags in your account bio, meaning your profile is now searchable via the humble hashtag. Create a flexible Instagram policy that encourages your employees to get involved. Like most of our examples below, employees (not your marketing team) generating the photos and video demonstrate a more genuine view of life in your organisation. Happy employees will love the opportunity to share their workplace with the world! Check out our favourite examples of employer branding being done well on Instagram. You’ll notice some of our Top 100 employers in this list. 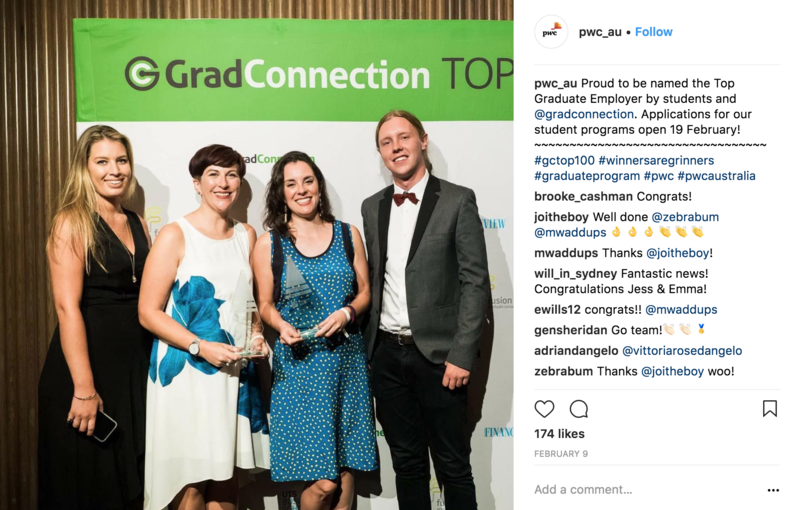 PWC (@pwc_au) - Unsurprisingly, our Top Graduate Employer are doing a great job on Instagram. PWC share stories about company successes (as Top 100 winners), insights into company culture, corporate policy and achievements, community contributions and charity partners, and inside their offices. 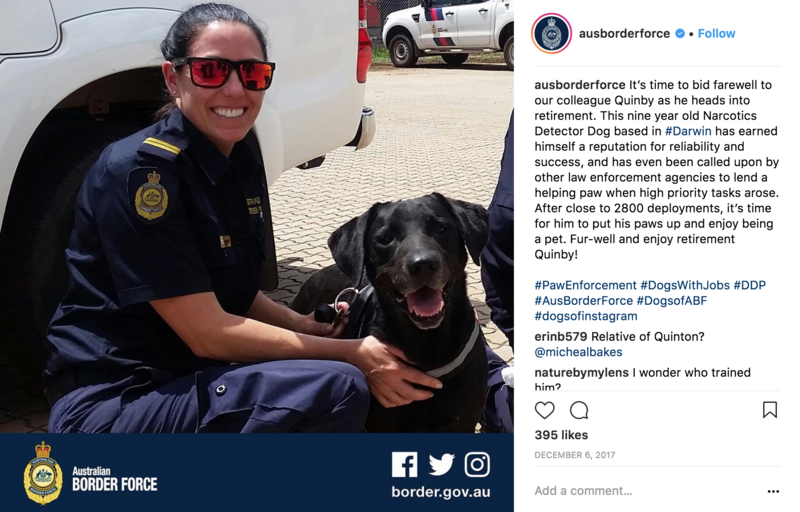 Australian Border Force (@ausborderforce) - Everyone loves puppy photos! These guys also do a great job demonstrating human connection and sharing realistic role previews by showcasing the officers and the contraband their patrol dogs pick up at airports. Check out their #unwrapped series – it’s fascinating stuff! 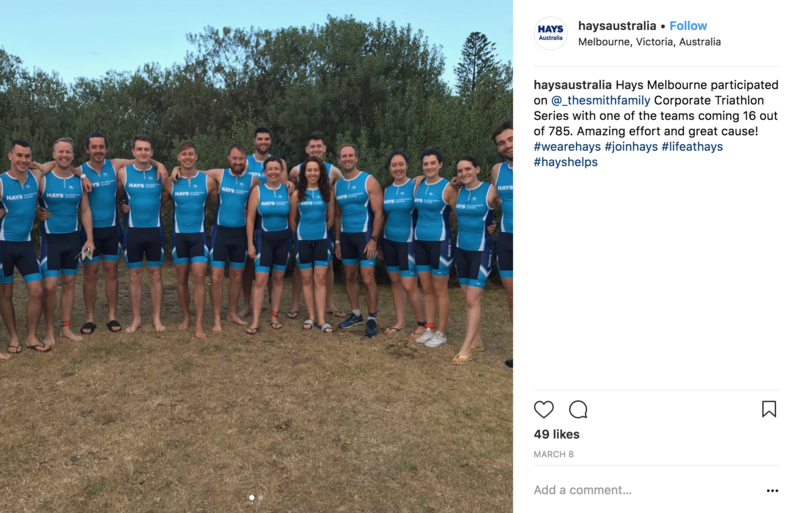 Hays (@haysaustralia) – Hays are recruitment specialists, so we expected them to lead by example! Emphasising behind the scenes storytelling, Hays celebrate their community programs and support, company and employee wins (Top 100 winners), employee health and wellbeing, workplace culture, and a playful insight into what they do. Hudson (@wearehudson) – Hudson share employee-generated stories integrated with their snapchat account, behind-the-scenes at company awards, employee successes, workplace diversity, and their different offices worldwide - generating an overall supportive team culture vibe. 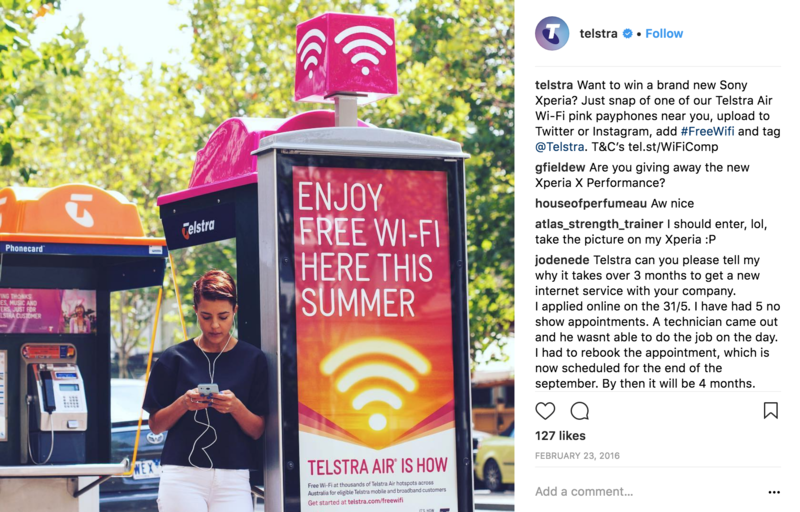 Telstra (@telstra) – Telstra provide a great example of how to incorporate user generated content encouraging their followers to share experiences with Telstra products. 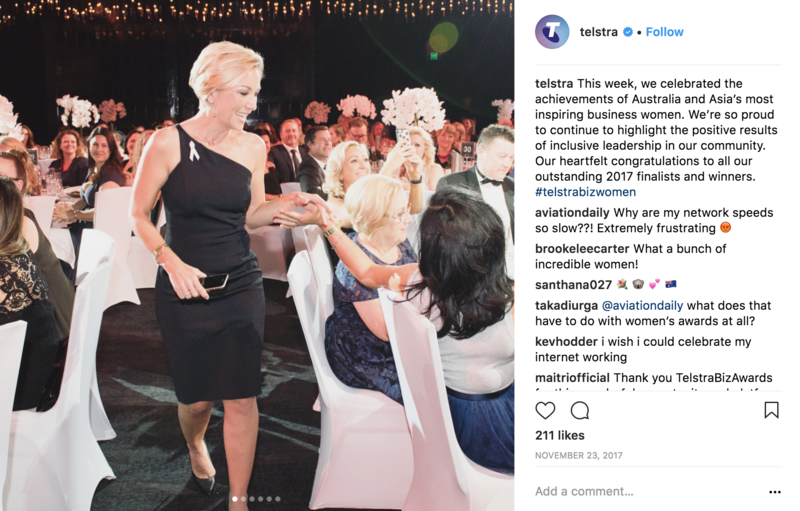 They also publish behind-the-scenes with employees, products and innovations, and their community support initiatives (for example, Women in Business Awards). 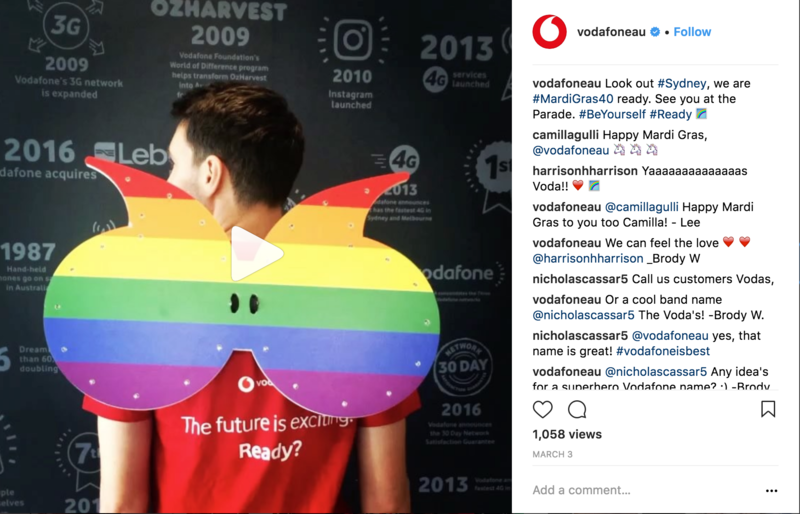 Vodafone (@vodafoneau) – Vodafone share a full brand story, including product launches, store ambassadors, community support programs and initiatives, and their graduate recruitment events and activities. More companies are turning to Instagram to promote their employer brand and build an engaged talent community. However, it hasn’t been widely adopted by most of the top employers in our list – so, here’s your chance to stand out! Stay tuned over the coming weeks as we explore more of our top graduate recruitment predictions. In the meantime check out our Instagram and get in touch - we’d love to hear from you.